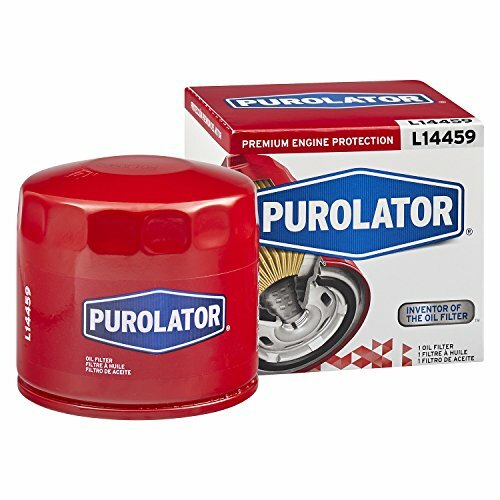 Purolator oil filters are engineered to meet original factory performance for your vehicle. Made for routine driving conditions, Purolator’s rugged internal construction provides proven filtration performance and protects engines against damaging dirt and debris for up to 5,000 miles (or as specified by your vehicles owner’s manual). A great match for conventional oil, Purolator is available for most of the passenger cars and light trucks on the road today. Purolator’s multi-fiber media traps more than 96% of road grit and other debris that can harm your engine. Designed with a bypass valve and metal center tube for optimum oil flow, wear-resistant metal end caps and an anti-drainback valve, Purolator delivers the protection your vehicle demands to keep it running smoothly.